I’ve seen the toughest around. And I know, baby, just how you feel. I used to want to meet? Can you believe that was you? And who’s that standing there in the corner? 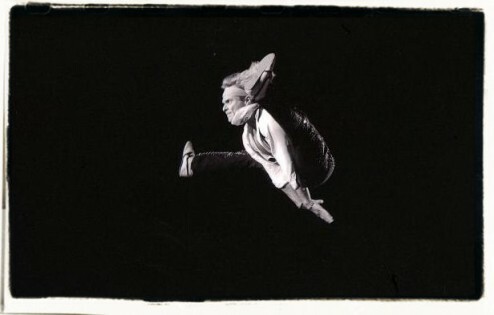 In an article about David Lee Roth and a Van Halen concert in Tokyo there was an aside about his martial arts training. A few musicians and actors have done martial arts. For example I talked about Michael Rooker recently here. Michael Rooker trained in aikido. He plays Merle Dixon in The Walking Dead. David Lee Roth is not a martial arts dilettante. He has done martial arts for many years. You probably didn’t know that he lives in Tokyo now. He could be that guy next to you on the subway train. He trains seriously in kenjutsu – the Japanese sword. He also studies go and he studies sumi-e – Japanese ink wash painting. And that sounds like a cool tattoo. People with nothing to hide don’t usually feel the need to say so. You are a melancholy fruit.